Original Landscaping wants your first impression to be a lasting, positive one. The best landscapers in town can achieve this for you, starting from the outside in. Color, beauty, traditional, modern or a special blend are the things that leave an impression- Beautiful Landscaping will increase your property value and enjoyment of your property. We provide the same dedicated service to all our clients, whether they need Landscapers in Washington DC, Virginia (Alexandria VA, Arlington VA), or Maryland (Silver Spring MD, Baltimore MD, Rockville MD, Annapolis MD), or whether their landscaping needs are big or small. Our team is always certified and insured in the work they are doing, follows our full written agreement to provide you complete service, and are professional and courteous. 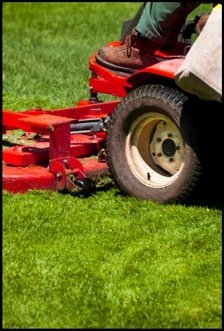 We offer affordable weekly, ten-day, or biweekly lawn maintenance plans. If you just need a one-time cut and trim, we can do that too. If you have hedges or flower beds, ask us about a full-service lawn maintenance plan! At Original Landscape, our team of landscape professionals have the necessary experience to provide you with the highest level of Lawn care and Landscaping in Rockville MD. Please fill out our free estimate form and one of our professionals we’ll get in touch with you to tell you about our lawn care services. Erosion control. It helps to control water runoff. Minimizes compaction. Like lawns, plant materials require oxygen and water at the root level. This helps to ensure against soil compaction. Moisture retention. It reduces evaporation ensuring plant receive need water. More consistent soil temperature. This is especially important for winter freezes. Weed control. Many believe this is the biggest benefit. 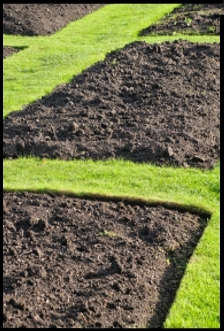 A layer of mulch reduces weed growth. Allows fruits and vegetable to remain clean. Have clean feet. This is a nice plus when entering beds while moisture is present. Beautification. A freshly mulched bed is beautiful. 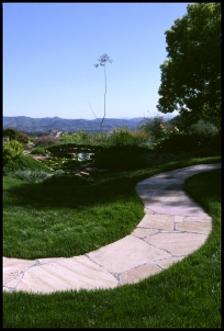 Landscape Design & Planning – according to weather, building type, desired palette, favored trees/plants, type of maintenance. Landscape Decorations – birdbath, ponds, fountains, reflecting ball. Landscaping Maintenance Services – groundskeeping, garden pests, leaves/debree pickup, compost/mulch fertilization, seasonal planting, mowing. Trees and Shrubs – seasonal pruning, shaping, planting, trimming, removing, root/stump removal, tree diseases and pests control, tree rental for weddings/events. 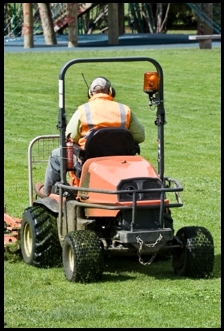 Lawn Care – soil prep, seeding grass, sod installation, weed removal and control. Irrigation Installation & Repairs – efficient watering systems, drip irrigation, timed system. Lighting Installation & Repairs – spotlighting, path lighting, sensor-detection, holiday or events lighting. Lot Clearance – overgrown weeds, fallen trees, emergency.